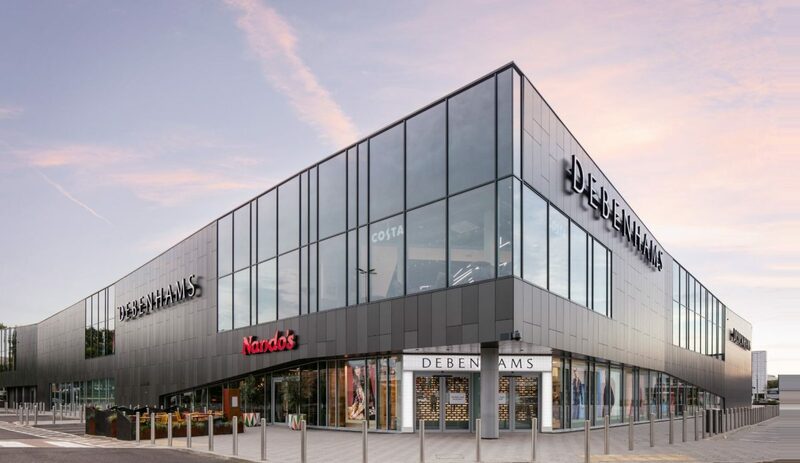 Debenhams Stevenage – A 80,000 square foot flagship store for the Roaring Meg shopping park. 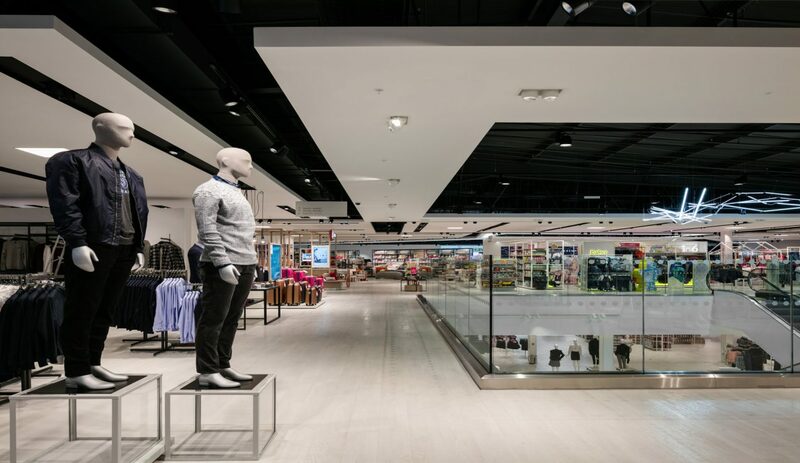 This new-concept department store aims to create an inviting and friendly shopping experience. The store features fashion, home and beauty departments and includes 3 eateries and a travel agent. 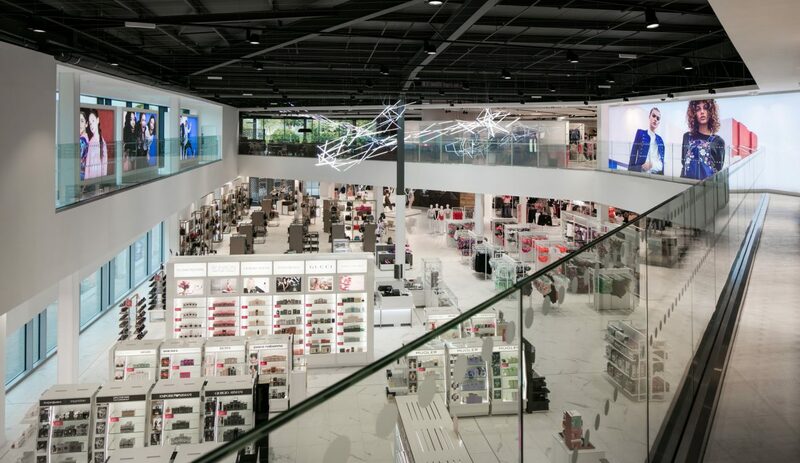 The Debenhams Stevenage flagship store fit-out had to adhere to strict Debenhams brand and design guidelines. 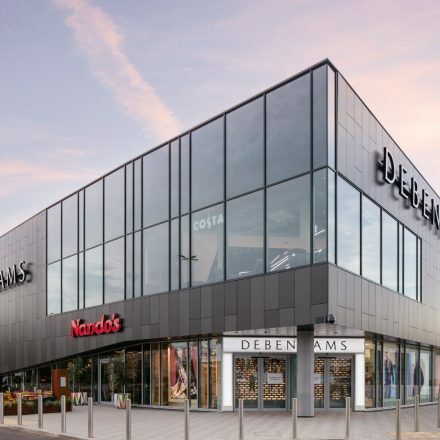 In order to maximise natural daylight within the store, a large amount of glass was required on the inside voids and on the store facade. > The finish on the balustrade trims had to match other finishes and designs within the fit-out. 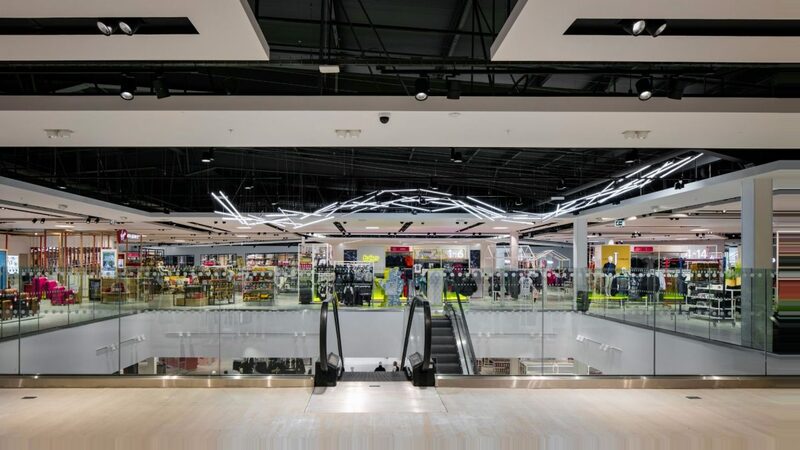 > Despite late stage store layout changes, the project programme remained the same with a set store opening date. 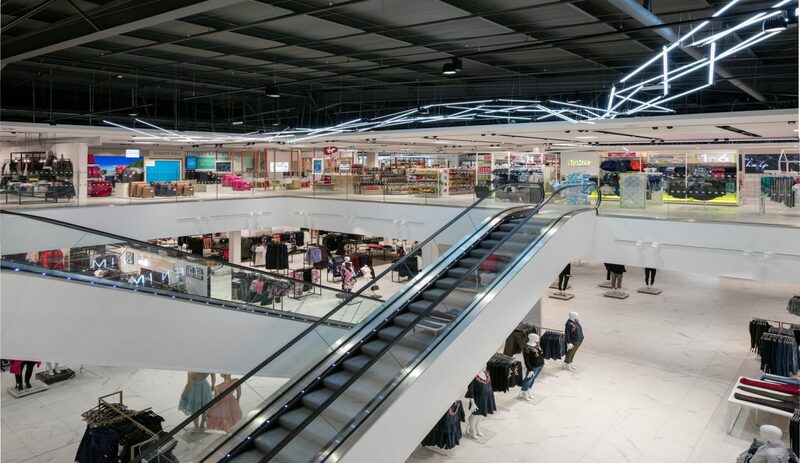 BA Systems were contracted by Simpson (York) to provide the B40 Frameless Glass balustrade to all voids and the entrance display area. The balustrades were complimented with stainless steel trims to the base fixing channel. 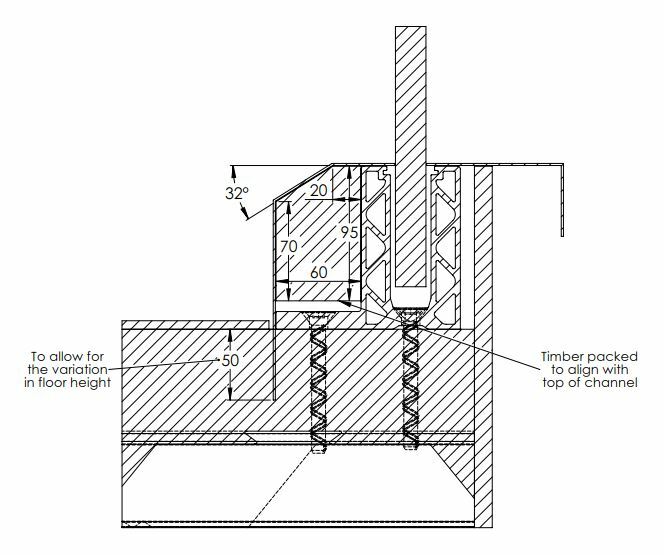 > To give additional stability and strength to the channel trims, a timber block was inserted onto the Ice™ 2 base channel ‘leg’ (fig. 1). > To verify the structural calculations and the 1.5kN/m balustrade loading, the design team completed a live balustrade push test. A successful balustrade installation allowed the balustrade to be handed over and the store to open on time.